Mark Zuckerberg kicked off 2015 with a New Year’s resolution: every two weeks he will select a book “with an emphasis on . . . different cultures, beliefs, histories and technologies” and discuss them with his new book club. While the jury is still out on whether the young Facebook CEO is the second coming of Oprah, there’s no denying that his book club could wield immeasurable influence on his 31 million online followers. But with great power comes great responsibility. Here are nine books that we at Off the Shelf think Mark Zuckerberg should choose. This National Book Award winner is all the more essential now than when it was published in 2012. Pulitzer Prize winner Katherine Boo puts a human face on a bewildering age of global change and inequality through the dramatic story of families striving toward a better life in Annawadi, a makeshift settlement in the shadow of luxury hotels near the Mumbai airport. Based on years of uncompromising reporting, Boo’s deep insight into what connects people to one another in an era of tumultuous change will leave its pages seared in your memory. What is war like through the eyes of a child soldier? How does one become a killer? How does one stop? Never before has there been a first-person account from someone who went through this hell and survived. In A LONG WAY GONE, Ishmael Beah recounts his story with heartbreaking honesty: how at the age of 12, he fled attacking rebels and wandered a land rendered unrecognizable by violence. By 13, he’d been picked up by the government army and found that he was capable of truly terrible acts. This is a rare and mesmerizing account, told with urgent importance and literary force. A novelistic and kaleidoscopic history of the past three decades, The Unwinding details how seismic shifts during a single generation have devastated the social contract and driven American democracy into crisis. 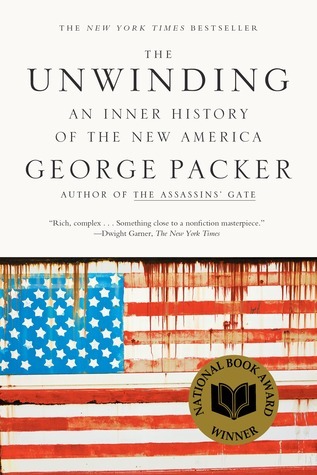 George Packer tells this story through the lives of several Americans, including a son of tobacco farmers who becomes an evangelist for a new economy, a Rust Belt factory worker trying to survive the collapse of her city, and a Silicon Valley billionaire who arrives at a radical vision of the future. This 2013 National Book Award winner seamlessly weaves these complex narratives together to portray a superpower in danger of coming apart at the seams. It’s not often that a 700-page treatise on economic history by a French economist becomes a surprise bestseller—the fact that it spent more than twenty-two weeks on the New York Times bestseller list reveals just how timely and necessary it is. Capital reorients our understanding of capitalism by demonstrating that its main driver threatens to generate extreme inequalities that stir discontent and undermine democratic values. 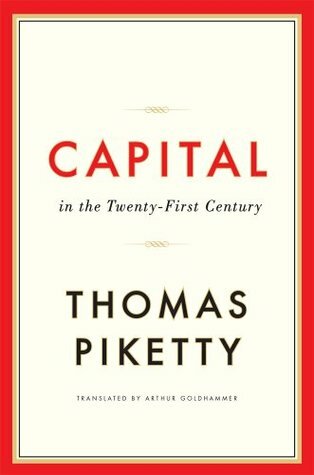 A work of extraordinary ambition, originality, and rigor, it has set the agenda for the next generation of thought about wealth and inequality. Originally published in 1989, this classic work of journalism remains one of the most thought-provoking books written about the Middle East. 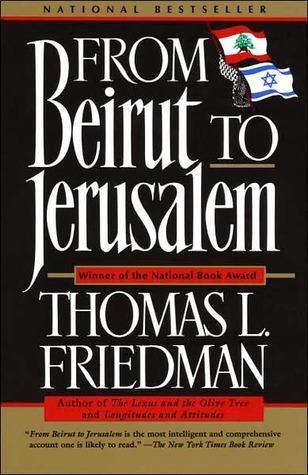 In a new afterword, Thomas L. Friedman updates his journey with a fresh discussion of the Arab Awakening and the Israeli/Palestinian conflict and how they are transforming the region. Rich with anecdotes, history, analysis, and autobiography, From Beirut to Jerusalem continues to be vital to our understanding of this complex and volatile region. Daniel Kahneman, the renowned psychologist and winner of the Nobel Prize in Economics, takes us on a groundbreaking tour of the mind and explains the two systems that drive the way we think: System 1 is fast, intuitive, and emotional; System 2 is slower, more deliberate, and more logical. Thinking, Fast and Slow engages the reader in a lively conversation about how these two systems shape our judgments and decisions. In THINKING, FAST AND SLOW, Daniel Kahneman, a renowned psychologist and winner of the Nobel Prize in Economics, takes readers on a groundbreaking tour of the mind and explains the two systems that drive the way we think and how we shape our judgments and decisions. One of today’s most admired political figures, Ayaan Hirsi Ali made headlines following the murder of Theo van Gogh by an Islamist who threatened that she would be next. 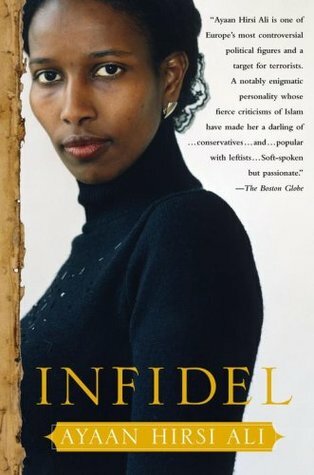 Infidel shows how this champion of free speech came of age in a strict Muslim family and survived civil war, female mutilation, brutal beatings, and life in four unstable countries before seeking asylum in the Netherlands. There she earned a college degree in political science, fought for women’s rights as a member of the Dutch Parliament, and became an outspoken, pioneering freedom fighter. No other book could be more timely or more significant. While Gypsies have always intrigued and fascinated, stereotypes and xenophobia about their nomadic lifestyle and mysterious origins have persisted for centuries. Isabel Fonseca’s anthropological account focuses on the four years she spent with Gypsy communities from Poland to Albania learning their language, listening to their stories, deciphering their taboos, and befriending their kings, matriarchs, and activists. 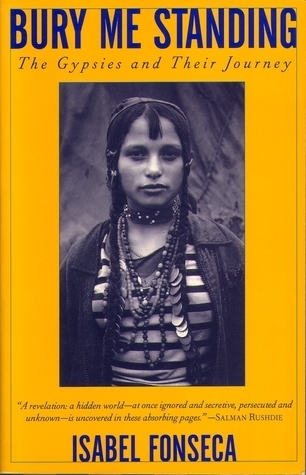 A masterful work of reportage, this volume is a vibrant portrait of an enigmatic and misunderstood people—and an essential document of a persecuted and disappearing culture. From two of our most fiercely moral voices, Half the Sky is a passionate call to arms against the oppression of women and girls in the developing world. Pulitzer Prize–winning journalists Nicholas D. Kristof and Sheryl WuDunn introduce us to a Cambodian teenager who escapes from a brothel and, with assistance from an aid group, builds a thriving retail business; and a Zimbabwean mother of five, counseled to return to school, who earns a doctorate and becomes an expert on AIDS. 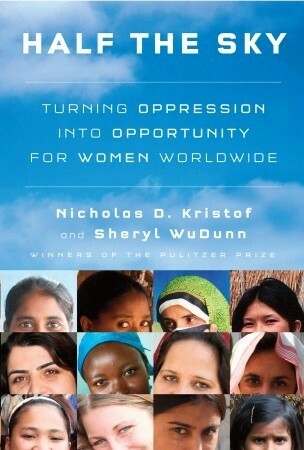 Through these stories, Kristof and WuDunn help us see that the best strategy for fighting poverty lies in unleashing women’s potential. This is essential reading for every global citizen.